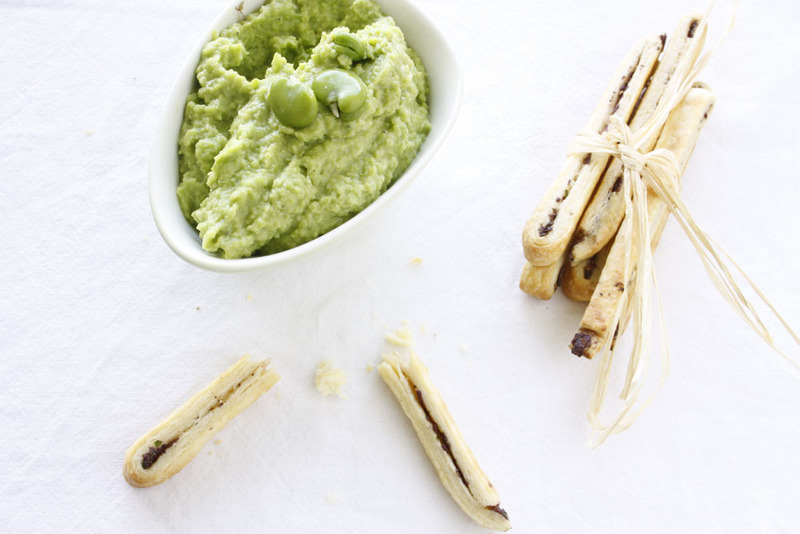 Dips are always fun and quick to prepare. This recipe also makes a great spread in sandwiches or burgers and would be ideal as a purée to serve under grilled meats. In a small saucepan of water bring the broad beans to the boil, drain and refresh them in ice cold water. 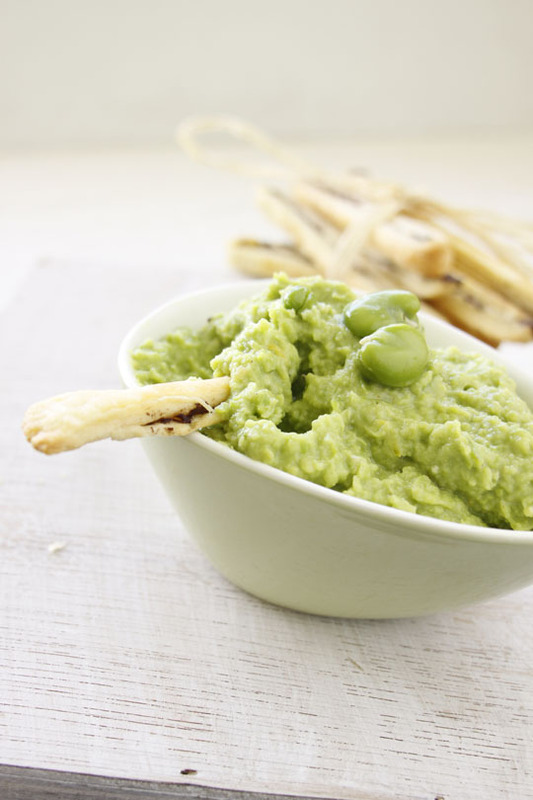 Add the blanched and drained broad beans, avocado, minced garlic and lemon juice to your food processor or blender and whiz until smooth. Add ground chilli, salt and pepper or more lemon juice to taste. 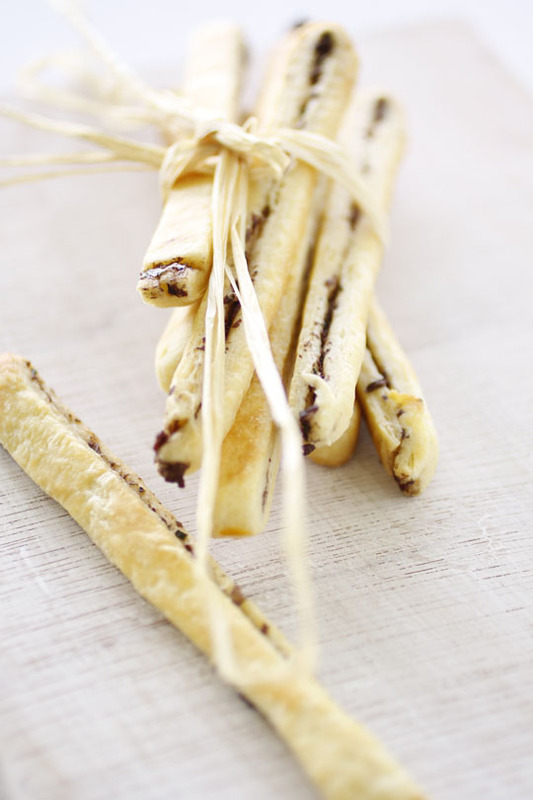 Transfer to a serving dish and chill until you are ready to serve with Tapenade Straws (see below), Tortilla chips or toasted Pita crisps. Sift the flour, baking powder and salt into a large bowl or food processor. Cut the butter into small cubes and rub into the flour either with your hands or using your food processor, until it resembles coarse breadcrumbs. Combine the milk and vinegar together, it will turn and go globby not unlike buttermilk. Add the milk to the flour mixture to make a soft moist dough dotted with butter. On a lightly floured bench or board bring the mixture together just until it forms a ball. Handle as little as possible to prevent the pastry from becoming hard when baked. Roll out the pastry into a rectangle until it’s approximately 5 mm (1/8 inch) thick. Spread one side of the pastry with the tapenade and fold over. Press the layers together carefully and slice into thin 1cm wide strips. Place the strips on to lined baking trays and bake for 10 to 12 minutes until golden.